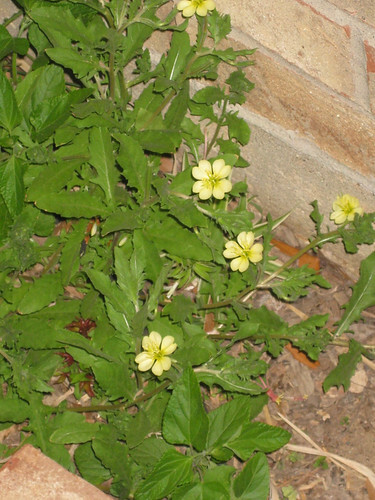 Cluster of night-blooming cutleaf evening primrose. 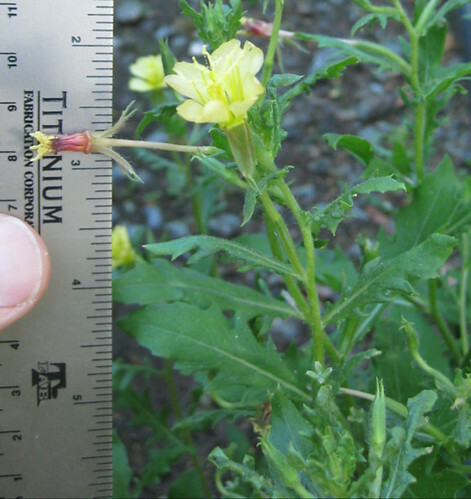 Cutleaf evening primrose flowers can be yellow or pinkish when first blooming. 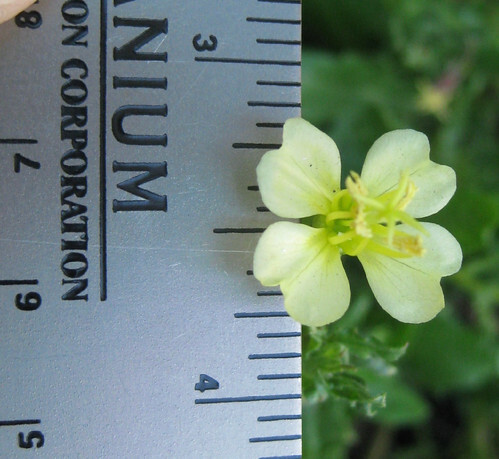 The flowers have four notched petals and are about 3/4" across at their widest. Close-up of the flower. Note the cross rising up from the center. Cutleaf evening primroses start out as a rosette form. Stems begin growing out of the center. Note the alternating leaves. 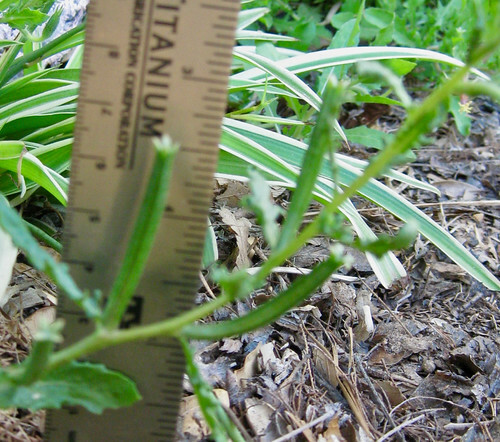 The plant will eventually get thick with leaves and stems. 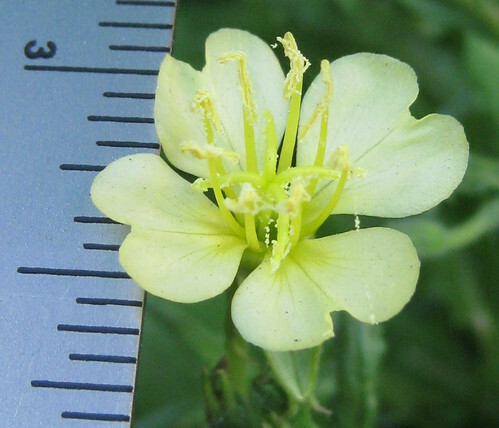 The fruit of cutler evening primrose grow as thin, slightly over 1" long, flat-sided rectangles. 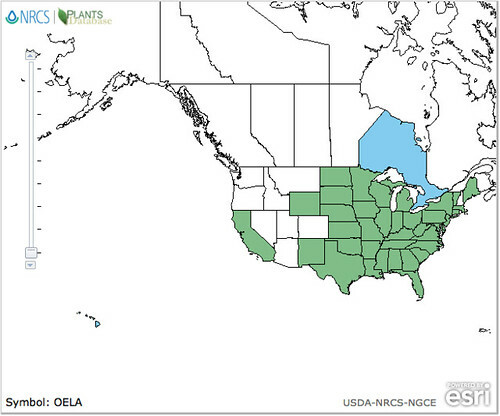 Cutleaf evening primroses seem to move in and quickly cover many bare, disturbed areas. 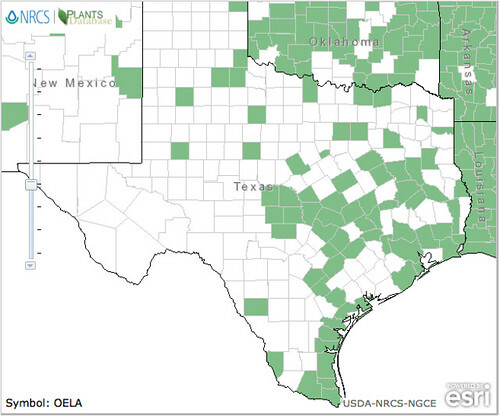 You'll find them pretty much anywhere Mother Nature thinks the ground needs healing...and that includes the monoculture yards. 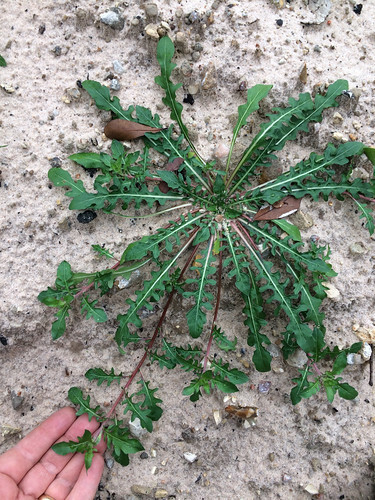 These plants start out as a circles of spiky leaves but soon put out assorted stems and begin mounding up. The mix of pink flowers and yellow ones are another prime indicator that you've found cutler evening primroses. The flowers appear in greater numbers at night since this is mainly a moth-pollinated plant. 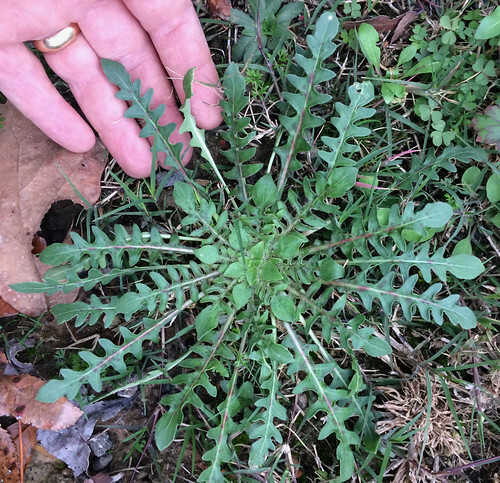 The leaves have a pinnate vein structure and start as a rosette around a taproot, once stems appear their leaves will be alternating. 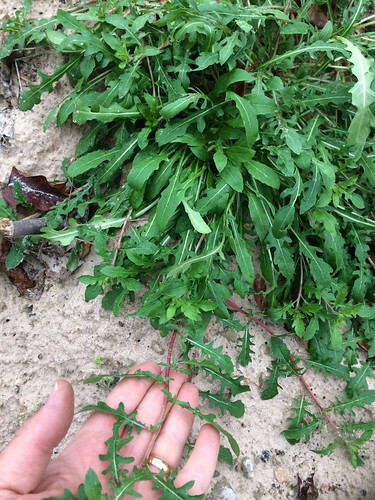 This weed is usually used as a potherb, meaning the leaves, flowers, and fruit are usually boiled or steamed rather than eaten raw. Think of it as a substitute for cooked spinach. The flavor is a bit peppery, but this zing fades as cooking times extend. The young root was peeled then boiled in 2-3 changes of water to mellow out its flavor. 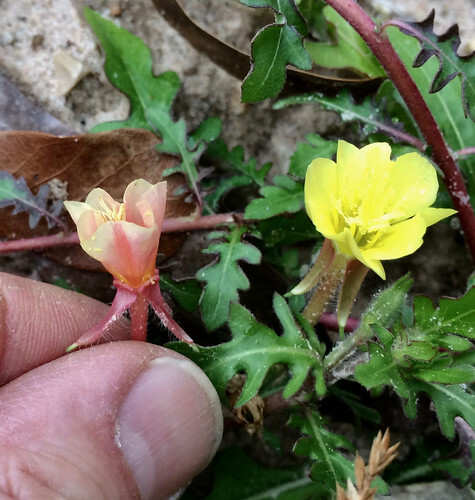 Medicinally, it isn't held in the same esteem as its cousin evening primrose (Oenothera biennis) but its likely that cutleaf evening primrose seeds have the same gamma-linolenic acid content that is responsible for use medicinally to help with PMS and menopausal issues.